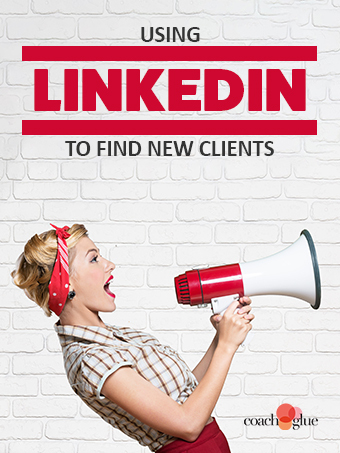 That’s why we’ve put together a special package of 10 professionally written done-for-you blog posts about using LinkedIn to get more clients. These posts arrive ready to copy and paste into your blog, newsletter, or anywhere else you need compelling content that demonstrates the value of coaching. If you think blasting LinkedIn users with connection requests is the way to go, put the brakes on your plans and rethink your strategy. Tips for networking naturally on LinkedIn so you don’t develop that pushy “used car salesman” reputation that make people want to run away. There are several LinkedIn “sins” which can haunt you and affect your credibility and reputation. You need to make every aspect of this platform work to your advantage in order to both attract prospective clients and then convince them that you are the expert they’ve been searching for. An editorial calendar is helpful when it comes to planning your social media posts. While relationship marketing requires effort on your part, you can also encourage others to network with you by putting forth a professional image. Making the right connections on LinkedIn (or on any networking platform) should never be hit or miss. A daily action plan will help you remember everything but it also saves time. Even after doing all your target market analysis and creating your client avatar, some people will still say NO to your products and services. Whether you want to get noticed on LinkedIn by hiring recruiters or by business prospects, LinkedIn is THE place to be seen.